Big fan of alcohol should be more careful. Science and Technology Committee ofthe British Parliament on Monday (01/09/2011) recommendations and the amount of alcohol consumption are recommended. The pattern of alcohol consumption was first published in 1987. Recommendation at that time, men have a maximum of 21 units of alcohol and women 14 units of alcoholdrinks in one week. A unit of alcohol equals half a pint (284 milliliters) with an alcohol content of 4 percent or 25 ml of alcohol of 40 percent. In 1995, the revised recommendation. One should not drink more than 3-4 units per day and women no more than 2-3 units per day. Limits for the elderly and pregnant women even less. After drinking large quantities, one should not drink alcohol fortwo days or 48 hours. Although there are a couple of days should be free of alcohol, other days it does not mean they do not drink alcohol every day. The survey conducted by the Central Bureau of Statistics United Kingdom, only 13percent of respondents who control the number of drinks consumed. In fact, 90percent of Britons known such restrictions. The difficulty of measuring the size of the unit is a major obstacle. 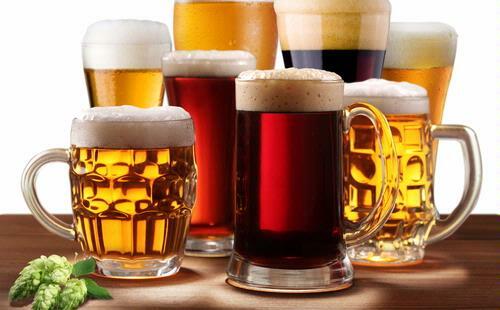 UK Parliament Science and Technology Committee Chairman Andrew Miller told the BBC on Monday, said that the rules of the consumption of alcohol is made ​​to the negative effects of alcohol consumption counter. Department of Health and Human Services says the United States, the consumption of alcohol can have severaldiseases cause the body systems, ranging from impaired cardiovascular system(cardiovascular), reproductive system, nervous, digestive, muscular, respiratory,cause sleep disturbance. Alcohol can also cause cancer, hepatitis exacerbation,and various other infectious diseases.